As you can see, every wedding video by Quinn Video is unique and truly reflects the emotion of the day. No one size fits all. We maintain a small footprint on the day and then work our magic in the editing suite. Your guests won’t even notice Ronan. And that is something we take pride in. Your enjoyment and that of your guests will never be compromised as we have a very minimalist approach to recording your wedding. We now offer 3-4 minute highlight clips or more in depth 6-8 minute cinematic films. We can also still provide a long form wedding video, a fly on the wall document of your day. Think of it as the old “wedding video” ! The short form highlight clip or film, dependant on your package choice is a carefully crafted cinematic film of your day. For most the cinematic wedding video wins the day, but keep in mind the documentary wedding video will grow in value over time when yourself or your kids want to look back at all the old family and friends who were present when you got married. There are so many “buzzwords” used these days we would love if you just got in touch and told us what is important to you. We will then be able to guide you towards the best options for your wedding video. 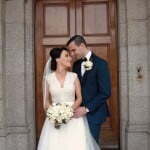 We also love doing elopement videos and are happy to quote for the shorter day if you want to tell us about your elopement in Ireland. So, if you’re looking for more information on a great wedding videographers in Dublin or nationwide get in touch. 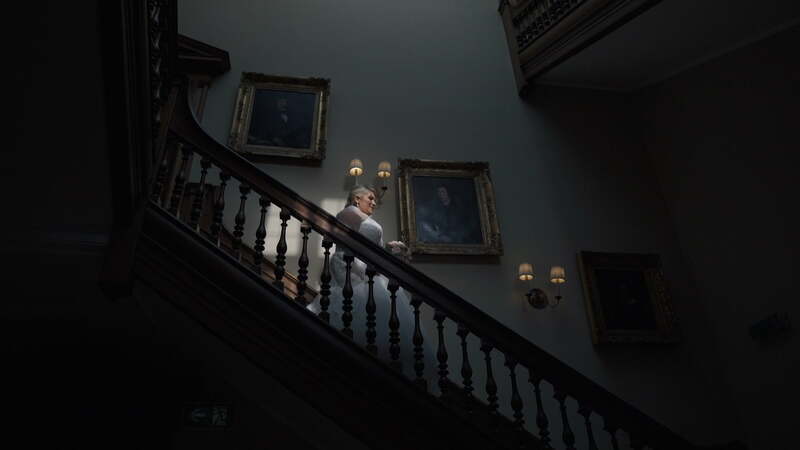 When you book with Quinn Video we will give you free tips and advice on your wedding video, that will allow you to plan your special day knowing what helps make a great video without affecting the running of the day in the slightest. In fact we want you to be able to spend as much time with your friends and family as possible. With the small bit of extra knowledge about the videogrpahers thought process and objectives that we provide before the big day, we are able to give our couples an insight into what to expect, and more importantly what not to have to worry about on their wedding day. Because of this pre-planning there is no guess work or surprises on the day and our couples can just forget we are there and enjoy their day. Our passion for videos will never exceed our passion for your enjoyment on the day. When my fiance and I were planning to elope overseas, we had no idea where to begin. We researched many photographers and videographers from afar. The works of Quinn Video were captivating and we knew we had to reach out to see if they were available to make our special day as vivid and magical as we felt it. The video was so important to us because we wanted to share it with our beloved family and friends back in the States. We put all our trust in Quinn Video and they exceeded our expectations! Ronan, I am so sorry it has taken me so long to send this email. I just want to say a massive thank you for your work. We loved the highlights and we adored the full video. The way you filmed our day is is just perfect. It was so nice to be able to relive it. Partly why you are here. You are doing your wedding research and looking for a suitable videographer that will match the vision you have for your wedding video. Your going to “feel it” when you found the right videographer for your day. You will already have an idea on whether you want documentary style videographer or a cinematic storytelling videographer. We are cinematic wedding videographers, which in essence means we still document the day unobtrusively, but we also have a vision for the type of footage we like to get during the couple portrait session ( when the photographer is just doing photos with you both ) as this is where we try and capture the “connection and emotion” that runs through our wedding films. 2)On the day of your wedding. We are people watchers, modern storytellers using creative techniques to tell your story. But that does not mean you have to have multiple people using lots of equipment on the day which becomes a distraction. We are minimalists in our approach on the day. We are often mistaken for photographers as our gear is the same and quite often we don’t even use tripods. It’s part of the reason people choose us, we know how to “fit in” on the day of your wedding. Just read the testimonials above this section to see what some of our recent couples say. We love being part of the wedding day with out couples. But we really love the art of storytelling. This is where the magic happens after your wedding. We never know how a story will be told until we sit down and review the footage. We then storyboard how we will match the audio with the visuals to create our compelling wedding videos. While we like to keep up with modern techniques our mind is always focused on creating a timeless wedding video for you. If you have any questions about the process or would just like to check your date to see if we still have availability then get in touch today. Check now to see if your date is still available.